I can tell you with some certainty what your next injury is going to be. I may not know you or have ever seen you running but I already know with a high degree of probability what’s going to leave you cursing and crawling the walls. There’s nothing worse than an injury……..unless it’s an injury you’ve had before. Sadly just like that creepy ex that randomly appears everywhere you go and stares at you through the coffee shop window, your last injury is likely to be your next. The reason is that just like the aforementioned ex we never address what got us into that mess in the first place. Ever said ‘I’m NEVER drinking again’ only to find yourself with pint in hand the following night? Next thing you know you’re chatting to the next bad relationship and so the cycle continues. The same thing happens whenever you tell yourself that your injury has 100% healed and you can pick up where you left off only to end up back on the physio table a week later. If that sounds like you or you don’t want to be THAT person then read on my friend and let’s fix it pronto…..
Every runner will get injured at some point – fact. 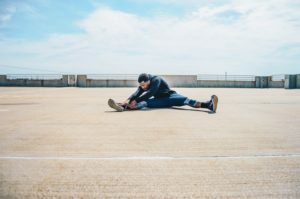 Running is a stressful and repetitive activity so even the most diligent athlete can fall foul, let alone those of us that are too busy to do our pre-hab. In fact nearly 80% of runners will have some kind of lay off from training at some point in the year – that’s astounding. Running a marathon? Then you’ve got a 1/5 chance of needing medical attention on the day – whether you act on that is another matter of course. But just because it’s very common doesn’t mean you want to be in that statistic, right? I mean every runner does their best not to get ‘caught short’ when on a long run but hey, it happens. So what can you do to cheat fate? Be honest – you KNOW the tell-tale signs most of the time. You just choose to ignore them. That burning in your Achilles as you push that hill climb? Yeah sure that’s how it started last time but you’ll run it off this time. What’s so different this time round? The reality is that even if you were patient enough in your rehab (you did DO a rehab, didn’t you?) then it’s unlikely to be any stronger than it was before and so just jumping back into the same training is going to have the same result. Remember that insanity definition? – doing the same thing over and over and expecting a different result. You might want to write that down – on the front door would be a good place so that you can see it every time you go for a run. It’s not just niggles and aches that can give you a warning sign though. 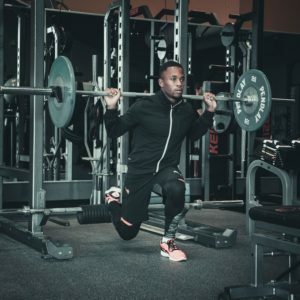 Things like having overly ‘heavy legs’ on a consistent basis are indicators of a lack of recovery \ strength which are massive in contributing to injury. Miss a run in favour of a lie in? Are you kidding? How are you going to make progress with that attitude? If you fail to recover properly then you are just setting yourself up for injury and then you’ll have no choice but to rest. An extra hour once or twice a week will dramatically improve your recovery and reduce your risk of injury. We can apply the same mentality to strength training in the gym. Twice a week is ideal, even if that means doing one less run. You’ll end up accumulating more miles over the year from being stronger and avoiding injury than you will by just running at every opportunity. I’m loathed to mention it as I can hear you groaning already. Ok – here goes………. Yes ok – I KNOW it’s not exactly the most fun thing in the world but then neither is being injured – I’m pretty sure we’ve established that bit already. It doesn’t have to be hours & hours. Just 10 minutes a day could be enough depending on the individual. A good mix of dynamic stretches before you run and some static stretches when you’ve finished will go a long way. Then throw in some foam rolling, stretching & mobility work when you can and you’ll not only reduce your risk of injury but FEEL better too. Don’t be scared into thinking that a rehab program automatically rules you out of running. Doing slow 2-3k runs might seem amateurish when you’re used to busting out 10k’s or half marathons but they’re essential in rehab. Rather than looking at rehab as a chore and something to be ashamed of, why not make it competitive. After all, that is what runners thrive on. Building up steadily means backing off on everything – distance, pace, intensity, terrain, inclines etc You won’t miss out on a PB just because you decided to walk up the mountainous hill in your training run – relax and be sensible. Think Mo is racking up the mileage day in day out? WRONG! I can guarantee that he is hitting the gym and using the off season to build a strong foundation so that there are no injury issues that year. The winter can and does bring less than enjoyable and sometimes unsafe running weather. You have two choices if you don’t want to go outside – dreadmill or weight training. So you can actually view the winter as your ‘off season’ with plenty of leg and core gym work then just look to maintain that over the summer months. 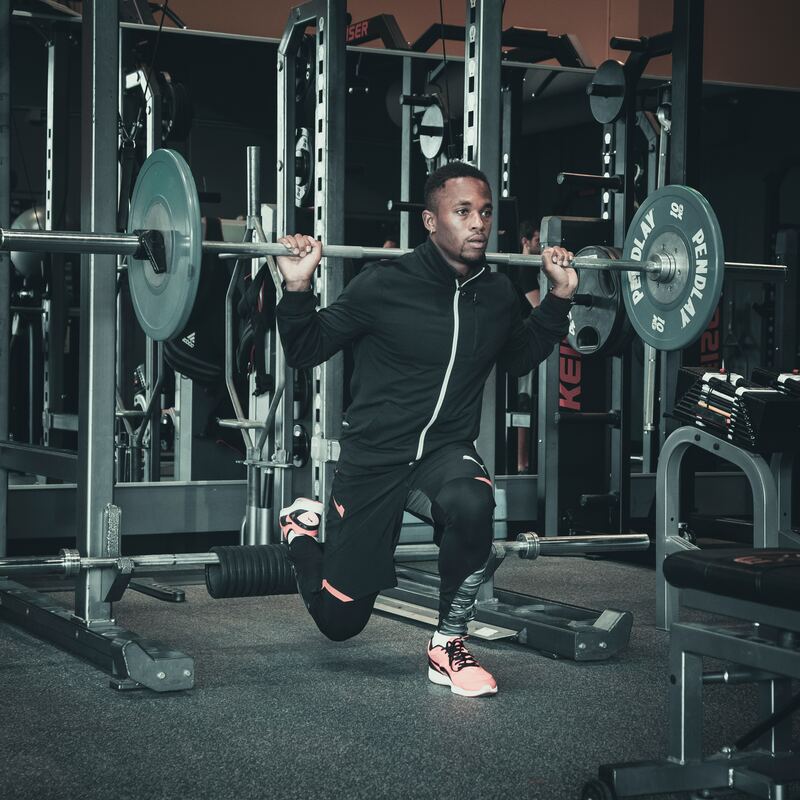 As your rehab progresses you may be able to afford to reduce your warm up time but at the beginning you’ll need to prioritise it significantly. Start with foam rolling any super tight muscles, then do some dynamic stretches for the entire body before some brisk walking or run \ jog intervals. Each person’s routine will be slightly different depending on their injury, how their body reacts and how much they STICK TO THE PLAN! The more you behave yourself, the shorter your rehab period is likely to be. Hate rehab? I think we’ve proven that once and for all but cutting corners is only going to extend your rehab period. Sometimes indefinitely if you’re that rebellious. Get a rehab plan. Plan it into your schedule \ calendar. Get it done. Enjoy running again – that’s as complex as it needs to be. …but you can never leave. Thanks to Don Henly for that. Truth is your rehab NEVER ends. Even when you’ve completed your program and are back to full training the principles outlined above still hold true. You need to include strength work, mobility & flexibility work as well as SENSIBLE training progressions to stay injury free. Skipping any of these is going to leave you susceptible again. At the first sign of trouble when out running, back off and live to fight another day. That doesn’t have to mean stopping altogether but it could be walking the inclines or reducing your stride length for example. The 10% rule that says not to increase distance any more than 10% per week but again this is highly individual. Just keep your runs shorter and more frequent. It goes without saying that you can do all the pre-hab, strength & core work, sensible training and adequate recovery you like but that’s no guarantee of staying injury free forever. Some people are more susceptible to injury than others and you can never legislate for slips, trips, falls or turning an ankle etc. Just don’t assume that you’ll be one of the lucky ones and that the things above aren’t benefitting you. You’ll only regret it later on. You might be short on time now but skimp on the essentials and you’ll have hours of spare time when you can’t run anymore. Not only that but it will make you faster too. Who doesn’t want to be faster? If you do then I’d suggest signing up to my e-mail list which is exclusively for SERIOUS runners.